outstanding candidates for consideration as the IX Bishop of Minnesota. We as a search committee feel confident about our process which was thorough and intentional, and in which we listened intently for the Holy Spirit. The discernment process we followed is fully outlined here. We acted in full accordance with the Constitution and Canons of the Episcopal Church and the Diocese of Minnesota. profound gifts to share at this stage in our life together. The Rev. 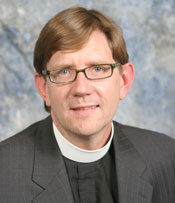 Brian Prior Rector, Episcopal Church of the Resurrection in Spokane Valley, Washington. that we were very pleased with their answers. We also listened to two sermons, spoke with many references, and reviewed their responses to an online leadership assessment tool. A thorough background check as been completed on each candidate. In addition to the candidates discerned through the search process, we also have two candidates that come to us through the equally valid Open Nominations process. The Standing Committee announced their names Sept 29. By clicking on their names you can access their autobiographies, resumes, a photo, and answers to the written essay questions. A thorough background check as been completed on each candidate. 13 at St. Mark's Cathedral in Minneapolis. confident that God will continue to use the gifts of all those whom we had the pleasure to encounter in this process. Join us in offering thanksgivings to God for all God's blessings. surround and keep us all. Are you interested in leading a community that has spent years of honest hard work assessing our future — a Diocese that has come to a unanimous consensus about our need for Spiritual Transformation? Do you have a deep capacity for hope? Are you energized by the creative possibilities in this time of transformation within the Episcopal Church? Do you have a desire to lead, nurture, love, and heal all people in all our diversity without distinction? Are you intrigued by the uncertainties of our time, knowledgeable of the economic challenges, yet excited and motivated to find creative solutions to these difficulties? Do you have experience leading a complex organization through change? Do you have the ability to consistently articulate a clear message over time? Are you a voice for justice in the world? Do you have the vision, energy and enthusiasm to re-imagine what it means to be an Episcopal Bishop? Do you sense the possibility that the Holy Spirit is calling you to be the IX Bishop of Minnesota? Are you energized by the possibilities where others might be overwhelmed? Do you have the vision to chart a new course and re-define what it means to be The Episcopal Church in this day and age? We have worked long and hard assessing our need for change, and we are realistic and honest about the challenges ahead. We are aware that times of transition can present dual realities that at first glance, may seem incongruous. Some of these dual realities are in relationship to the definition of being a bishop, yet we believe that with the Spirit’s help, there can be resolution and we can grow and flourish into new ways of being. We look for a bishop who can imagine what that might be. We ask that you love us and visit us in our churches; but we understand that 107 congregations spread over our state’s vast geographical area presents challenges. We desire your attention; but at the same time want you to be a prominent voice in the public arena for social justice. Be a good manager of staff; yet be aware that we are down-sizing the diocesan staff and placing more emphasis on increasing congregational networks. We value children, youth and young adults; but our old models for funding and supporting youth ministry need to be redefined and revitalized. Be an inspirational and visionary leader; but we also want to be included in the process. We have exciting ideas for how to do church differently; yet at the same time we have decreasing financial support. We have many talented, underemployed clergy and many areas in need of their ministry; but we don't have the resources available to adequately pay them. The Bishop’s Commission on Mission Strategy (BCMS) evolved in 2006 from a Metro Mission Strategy group. The BCMS worked for more than a year, gathering historic and current data and receiving input from congregations and other diocesan entities. Eventually, more than 2,000 individuals and more than 76% of the congregations of the diocese took part in the BCMS study, which included an all-day summit in the spring of 2007. Finally, the BCMS report, Rethinking, Reframing and Reclaiming Our Identity, Purpose and Mission, was presented to representatives of the diocese as a whole at Diocesan Convention on October 27, 2007, where it was overwhelmingly affirmed. The BCMS report approved at Convention articulated Four Key Goals along with 12 Recommended Mission & Ministry Initiatives. Next, a new group needed to be created to help in the implementation of these goals. This committee included some BCMS members but has also welcomed new members from around the diocese. One of the group’s first actions was to rename itself the Mission Strategy NETWORK. It was felt that working with existing networks and creating new ones if necessary would be more effective than trying to fit such work into a geographical model, especially in the large area covered by our diocese. During the summer of 2008, four Task Teams were formed, one for each of the four BCMS goals. These teams have been meeting to develop work plans for the implementation of their particular goals. In addition, every congregation in the diocese has been contacted to learn of its relationship to the BCMS goals. The “network” aspect has not been forgotten, either. Another initial project was the establishment of a system of regular online communiqués (approximately two per month), giving regular reports on the work of the task teams and/or stories of congregations and how they are living into the BCMS goals. A new website was also set up highlighting the work currently being done and providing an online space for dialogue about where God is calling us. The site contains all the communiqués, as well as background material and other resources. It also includes a link to the diocesan social networking site, with an MSN blog and set of forums. To find out what has been happening since we adopted this plan, and to read the complete Bishop’s Commission on Mission Strategy (BCMS) report visit the Mission Strategy Network. For the congregations in the Diocese of Minnesota to experience a profound sense of shared spiritual transformation and theological renewal, which leads all Minnesota Episcopalians to participate more fully in God's mission in our world. For every congregation to connect or re-connect its ministry directly to its particular mission field and become communities in which discipleship is a way of life for all God's people. 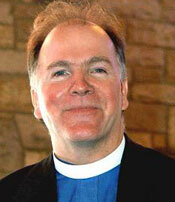 To redevelop the entire diocese by the end of 2009 to function primarily as a network of congregations and ministries. These networks will exercise local initiative and responsibility for shared ministry in their contexts. For the diocese to develop and implement fiscal strategies that make the best use of the resources God has entrusted to us, and to challenge and motivate all Episcopalians to generous and faithful giving. We are in need of spiritual transformation and theological renewal, for it is only through God’s grace and guidance that we will find inspiration for our shared life and ministries. The key arena for this spiritual transformation is within congregations. The most significant resource we have to offer for God’s redeeming work is the ministry of the baptized – disciples living in faithfulness to Christ through their vocations in the world. One of the greatest challenges facing the congregations of the diocese is that their ministries have often not kept pace with changes in their surrounding contexts. Our congregations need to engage their members about what it means to be a disciple of Jesus Christ and how to exercise their spiritual gifts both within the congregation and the communities they serve. This requires us all to re-imagine and re-engage our congregations’ unique mission field and to equip our members for Christian discipleship. Such work will raise significant questions in all our congregations regarding their own identity and purpose, and in many cases this will generate confusion and pain as congregations address needed change. The potential fruits of this work, however, are clearly worth the effort, as our congregations come to experience the excitement of renewed life and ministry. For the congregations of the diocese to develop ministries that promote the spiritual growth of children, youth and family members within a theological understanding of lay discipleship, vocation and God’s mission in the world. One of the sober realities of the diocese is that many congregations no longer have significant numbers of children and youth, and our ministries that serve children, youth and families have atrophied. The aging of our church is a symptom of decades-long decline. The absence of families will be addressed for many congregations as they connect or re-connect their ministries to their mission field—the communities in which they serve. We recognize that all congregations long for success in attracting families with children, but that for some the resources required are as yet beyond their reach. We must, therefore, make this a diocesan-wide priority, establishing networks of congregations to maximize resources and opportunities for ministry that are available. For the diocese to become a multi-cultural community of congregations that reflects the diverse ethnic realities of our state, where all congregations are empowered to have a shared voice within a culture of mutual accountability. The diocese has historic roots in Native American and African American ministries. Given the increasing populations of immigrants throughout Minnesota, there are numerous opportunities before us to develop ethnic-specific as well as multi-cultural congregations. This work needs to move from the margins to the mainstream if the diocese is to reflect the richness of our mission field. For the diocese to learn from its experience with Total Ministry and other models. The Total Ministry model has been spiritually-empowering and effective in many congregations of the diocese. This approach to ministry merits careful review and further consideration for expanded use, as well as consideration of other alternative models. We need to re-conceive and redevelop the diocese as a network of congregations and ministries where organization, communication and the use of resources flow along the lines of meaningful relationships and shared ministry commitments. We anticipate that much of this network will be experimental in character, especially initially, but that patterns once established will become more formally operational over time. In the short term, we may decide to maintain existing structures, such as regions, where they are helpful as an overlay on this emerging and evolving network. We need to devote attention, time and resources to cultivate the informal connections between congregations and ministries that are already coming into existence in numerous places. For the congregations of the diocese to invite and support the full participation of laity in the life of the church, where lay disciples feel empowered to have a mutual voice, are actively engaged in ministry in their congregations and the communities these serve, and where they are theologically aware of how to understand their vocational call to carry out their ministries. Congregations exist for the purpose of bringing individuals into a life-transforming relationship with Jesus Christ, to foster a communal identity among individuals as the people of God, and to equip God’s people for love and service to the world in God’s name. Lay disciples of Jesus Christ are the church’s greatest gift and resource. We need to invest our best resources into the formation of spiritually-mature, fully-empowered disciples of Jesus Christ. For the clergy of the diocese to engage thoughtfully and intentionally in a shared process of reflection and reevaluation of their roles in relation to a changing paradigm for ministry. We recognize the importance of ordained clergy leadership in the life of the church. Generally, clergy are not well equipped to address current changes and ministry challenges. For the search process to identify and recommend candidates for a new bishop who can provide visionary leadership in implementing this plan, and who can recruit and lead a staff that is able to support that work. With the diocese facing a period of leadership transition, this is a critical time for clarity and alignment of leadership priorities. The bishop and diocesan staff must be fully committed to the implementation of this plan. For the diocese to develop and implement a design for its organization and structure which is aligned and integrated with its identity, purpose and mission and ministry priorities. We must ensure that the organization and structure of the diocese are designed to carry out and fully implement its identity, purpose, and mission and ministry priorities. This design, in terms of achieving alignment and integration, will take time to develop and implement as the diocese begins to live into reshaping the paradigm for its life and ministry. One option is to utilize a provisional organization and structure during the transition period. Ideally, the new organization and structure should be in place by the time the new bishop takes leadership in the diocese. There are significant resources among the Episcopalians of the diocese. We believe stewardship needs to be addressed in two ways: first, as an outgrowth of personal faith and Christian practice; second, in response to a clearly articulated and compelling vision of ministry. There are many sound, biblically-based stewardship materials that the diocese could make available to congregations to great effect. Yet the basic principle that money follows vision has been consistently demonstrated in the church. As noted in the book of Proverbs, “Without vision, the people perish.” The current financial difficulties of the diocese are, at heart, related to a lack of a clear and compelling vision for the future that can inspire confidence and build trust. This situation will not be solved overnight. We believe that difficulties in meeting financial needs will continue in the next five to seven years, but as the new paradigm for ministry begins to bear fruit, we anticipate that the present financial struggles will gradually ease. For the diocese, through its emerging networks and hub congregations, to develop and implement a design for the effective stewardship and utilization of its physical assets of facilities and land and explore sites for new congregations. The diocese and its congregations have significant resources in land and facilities. These resources are not always effectively utilized, however, to support mission and ministry. We anticipate more effective stewardship of these resources as congregational ministries are revitalized, but there will still be need for an intentional assessment of current resources. Moreover, the diocese sorely needs a strategic development plan for the placement of new congregations. From our very beginning 150 years ago, the Episcopal Church in Minnesota has embraced diversity. We are a Diocese willing to take risks for the promise of a brighter future. We are actively participating in reformation. We are hopeful, progressive, energized and ready for change. We have many innovative and thriving ministries in the Diocese, some unique to Minnesota, and several of which we are particularly proud. To learn more about the exciting things happening in the Diocese, please view our ministries. These special ministries, which include a department of Indian Works, the first Hmong Congregation, a commission on environmental stewardship, and a commitment to the Millenium Development Goals, are making a difference in the world and showcase what our Diocese is all about. We are inclusive. All people, regardless of their sexual orientation, race, class, gender or beliefs, are welcome in the 107 Episcopal congregations of the Diocese of Minnesota. The state’s image as a bastion of Nordic and German descendants has some basis in truth, but diversity is increasing with substantial influxes of African, Asian (Hmong), and Latin American immigrants joining our American Indian population. For a glimpse of the diversity and vitality of our congregations in their own words, click here. In addition, our Affiliated Organizations and two Cathedrals provide invaluable depth, strength and vibrancy to the Diocese. Explore the About Minnesota section to learn more about what this state has to offer. For demographics about diocesan clergy, please click here. The following pages highlight many of the ministries that showcase our identity and make the diocese such an exceptional and interesting place to do God’s work. Please visit each of these pages to learn about the exhilarating things God is doing in our midst. Department of Indian Works More. The First Hmong Congregation More. Gay & Lesbian Ministry More. The Diocese of Minnesota is blessed with a flourishing and energetic Diaconate that seeks to grow. Minnesota has 35 currently deployed deacons, 4 active but not currently deployed deacons, and 25 retired deacons. There are 28 men and 36 women, with approximately an equal number serving in the Metro and out-of-state areas. Diaconal ministry in the diocese is vital and active in many congregations. Numerous Total Ministry teams in the diocese already include one or more deacons. Other congregations are eager to add deacons as they become available. The Diocese of Minnesota developed a special diaconal formation/training program that strives to be comprehensive, diversely instructed and actively supervised to reinforce the mission to grow and support the diaconate. We are looking for a Bishop who can build on Presiding Bishop Jefferts Schori’s passion and lead the way for the Diocese of Minnesota to encompass and appreciate the wide spectrum of gifts offered by the diaconate. Read "A brief and recent history of the diaconate in Minnesota – or how we got to where we are" from Irma Wyman. Gospel Based Discipleship (GBD) originated in the Diocese of Minnesota. Shaped and formed by the Rev. John Robertson, the Rt. Rev. Mark MacDonald, and the Rev. Doyle Turner, GBD has developed into an important and dynamic connection with the Gospel throughout the greater Episcopal Church. It is not a program. It is not Bible study. GBD doesn’t rely on trained experts or clergy. You don’t need to have a deep knowledge of the Bible to participate. It can be used by any group or individual during a regular study, at the beginning of a meeting, or as a means of personal devotion. Gospel Based Discipleship is an engaging encounter with the appointed Gospel for the day. GBD is the great equalizer. People from all across Minnesota – young and old, rich or poor, democrat or republican, male or female, gay or straight —are increasingly using GBD as means to engage with others on an equal level to develop a deeper spiritual relationship with God. Groups or individuals that use GBD can expect to see their call to mission in a new light; experience a renewed spiritual friendship with participants; and are offered an opportunity to encounter the Gospel with peers. Total or Shared Ministry is based in our theology of Baptism, where we affirm that each baptized Christian is called to use their God-given gifts for ministry. Total Ministry teams, often referred to as ministry support teams, work to involve as many members of the congregation as possible in various forms of ministry. In other dioceses, Total Ministry is also called Collaborative Ministry, Shared Ministry, Team Ministry, or Mutual Ministry. The number of congregations engaging in Total Ministry in the Episcopal Diocese of Minnesota has increased significantly in recent years. Bishop Jelinek noted at convention that over a third of the congregations in the diocese are now Total Ministry churches. The Diocese currently has more than 35 congregations actively engaged in Total Ministry. Many other congregations throughout state, especially within the Department of Indian Work, are considering it. The Minnesota Episcopal Environmental Stewardship Commission (MEESC) was created by Bishop Robert Anderson in 1993 to inform him about environmental issues within the church. Since then, this group has been dedicated to promoting the care of creation by and within congregations. For the first number of years, this effort was focused on providing resources for liturgical leaders, specifically through lectionary reflections, and creation ‘season’ liturgies and reflections (all posted on our website). More recently MEESC’s efforts have expanded to include support for grass-root efforts within congregations. These efforts include personalized presentations; networking with Episcopal and interfaith organizations; and offering resolutions that encourage parishioners to engage their values in relation to personal and congregation resources. As the environmental stewardship movement has gained more widespread recognition, our work has changed. We have offered various retreats at the Mary Brown Environmental Center in Ely; been instrumental in the national Episcopal creation care presence; and encouraging local ‘chapters’ around a hub group of active members. In the last year, Bishop Jelinek has supported this timely ministry through the naming of the Rev. Wanda Copeland as Environmental Minister for the Diocese. MEESC’s members stand ready to educate, network and advocate with congregational and diocesan personnel on creation care topics. For more information, contact any of our members through our website at www.env-steward.com. The Millenium Development Goals: Pilot Project (MDG) was born in late 2006 and was, at its inception, an effort to greet the messy struggle and real work of hope - to energize our diocesan household around the MDGs at an individual level. In the process, the MDG Leadership Team sought nothing less than spiritual transformation – the raising up and training of new parish leadership, the building up of relationships across congregational, geographic and generational divides, and the igniting of a sense of what’s possible if we act together as Christians in a broken world. The model is simple: to train parish leadership teams to run successful campaigns of 0.7% individual giving (across the generations) in their congregation during Lent. The funds are collectively pooled within the congregation and together, through an intentional collective decision-making process the congregation decides where and how to invest the funds in the eradication of global poverty. At the training the five-person leadership teams learn basic community organizing skills, project development (setting vision, goal, strategy, and tactics), a method for collaborative teamwork, decision-making and conflict management, and the essentials for developing relationships around common areas of interest in mission. The central component of the project is the Public Narrative, a leadership art developed by Dr. Marshall Ganz of Harvard’s Kennedy School of Government and an advisor to the MDG Pilot Project. Leadership team members learn the craft of giving an effective, motivating public narrative that invites parishioners to translate belief into action through participation in the MDGs, using a specific structure of expression: Story of Self (Why am I called to do something about global poverty), Story of Us (Why are we called as a faith community), Story of Now (What are we called to now)? The first phase of the project had four participating congregations. Each congregation met its goal, raised up new leadership, and energized their parish around MDGs. Across four congregations 226 people pledged and over $52,000 was raised and invested in MDG initiatives. The next phase will run in Lent 2009. The early effort caught the attention of local and national Episcopal news venues, global poverty organizations, and was the instigator for the national Episcopal Public Narrative Project launched by the General Convention Office and the President of the House of Deputies. The Department of Indian Work (DIW) is a ministry that was established within the Dakota (Sioux) and Anishinaabe (Ojibwe) communities since before the Diocese was established in 1857. There are currently twelve mission congregations and two specialized ministries serving both on tribal lands and within the urban centers (Minneapolis/St Paul, Duluth) in the State of Minnesota. The clergy leadership of DIW consists of nine priests and three local permanent deacons who help implement the vision of American Indian Ministries in the diocese. Five of the priests are salaried and seminary-trained, and the remaining four have been raised up from within their own communities. There are also four retired priests who help out on a regular basis. DIW has a part-time director who divides time between that work and being in charge of a congregation. It has been stated and is a well-known fact that the Diocese of Minnesota’s mission and ministry with the Tribal Nations runs deep within its historical core. This mission and ministry is part and parcel of diocesan identity. It is part of the diocesan DNA. The Diocese of Minnesota is the only diocese in The Episcopal Church that has a substantial annual budget that is coupled with endowments for this ministry. It receive no extra funding from The Episcopal Church. 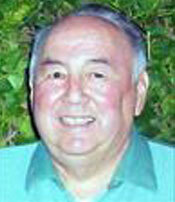 This diocese is possibly the leader in American Indian Ministry today. During Easter 2005, Hmong Christians filled the pews of Holy Apostles in St. Paul, and overnight the church became the first Hmong-majority Episcopal congregation in the entire Anglican Communion. The Twin Cities is home to one of the largest Hmong communities in the U.S. — 60,000 in the last census. Fr. Bill Bulson was introduced to a group of Hmong Christians, and just six months after initial contact, he found himself offering worship services in the Hmong language at Holy Apostles. Since 2005, we have baptized 175 children and adults. Twenty-three youth are currently preparing for confirmation. In the fall of 2008, Holy Apostles launched the Catechesis of the Good Shepherd program for children, ages 3-12 years old. We are forming a small group ministry that will meet in homes for Bible study, prayer, and fellowship. We received a $30,000 UTO grant to continue our translation of the Book of Common Prayer into Hmong -- which we are eager to share with the worldwide church. The first Hmong Episcopalian is in the discernment process, pursuing holy orders to the priesthood. This remarkable ministry would not have been fulfilled without the partnership of the Bishop and the diocese in our efforts to nurture and stabilize Holy Apostles. Holy Apostles, on the eastside of St. Paul, had been experiencing financial hardship and declining numbers of members for several years. In 2004, Bishop Jelinek warned the congregation that unless something changed, Holy Apostles would need to close at the end of 2005. A core group of faithful members from many cultural backgrounds committed themselves to daily prayer for revival and provision. When circumstances looked the bleakest for Holy Apostles, a community of 525 former Roman Catholic Hmong Christians found themselves without a spiritual home. Hmong leaders from this community, Fr. Bill Bulson of Holy Apostles, and the Bishop connected and discussed openness to Hmong language services, receptivity regarding cultural practices, and the possibilities for lay and ordained leadership. The Gospel is made known at Holy Apostles. Though Spanish speaking Minnesotans have found homes in our congregations for many years, Hispanic Ministry began intentionally with the founding of a diocesan mission in 1993. The Rev. Vincent Schwahn, founding vicar and The Rev. Bill Teska, former rector of St. Paul’s on the Hill responded to the pastoral needs of a grieving family by opening the doors of St. Paul’s on the Hill for a funeral of a Latina-Indian child. Several hundred Latinos attended the funeral and the call to reach out to Spanish speaking immigrants was heard and responded to. The birth and early years of this mission were aided by generous financial assistance from St. Paul’s on the Hill and Diocesan funds. Bishop Jelinek has been an outspoken supporter and advocate for ministry to and with Spanish speaking immigrants throughout his episcopate. Santo Nino’s membership (as well as membership in other Regional congregations) rises and falls in response to immigration patterns, opportunities for employment, federal immigration policies and changes in leadership. Father Schwahn served the congregation for 4 years, followed by Father Joel Almono for 8 years. Currently, The Rev. 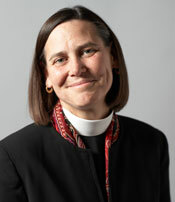 Susan Moss serves as part time Vicar. Her’s and the congregation’s dream is to enable the call of a bilingual, bicultural priest to lead the next phase of the mission’s life. Santo Nino is a resilient community of faith. Its core leadership functions in ways similar to a Total Ministry team and it has been a hub for other forms of ministry to Spanish speaking immigrants. Santo Nino members have provided leadership to the Montgomery Migrant Ministry, now called La Mision El San Jose Obrero. La Mision el San Jose Obrero began in 1993 under the leadership and vision of The Rev. Carolyn Schmidt. This mission serves Latino-American migrants who work at the Seneca Plant in Montgomery during the summer months. Episcopalians, both lay and clergy from Region 5, including the Rev. Jill Tollefson and The Rev. Ginny Padzieski, support this ministry of hospitality by organizing two Eucharists and a meal every Sunday during corn and pea pack at the plant. In 2008 our Diocesan Convention welcomed San Jose Obrero as a Special Mission of the Diocese of Minnesota. Ministry with Spanish speaking immigrants is also present in Regions 4 and 5, most often because there is a priest able to at least conduct una misa en espanol. Currently there are small Spanish speaking congregations along side of English speaking congregations at St Martin’s, Fairmont, led by The Rev. Winnie Mitchell, Christ Church, Albert Lea, led by The Rev. Jim Young and St. Matthew’s, Chatfield, led by the Rev. Justin Chapman. Our vision is to continue to “Welcome the Stranger”, to raise up and equip Latinos for lay and clergy leadership and to discover the ways in which our diocese can expand and support ministry with Spanish speaking people in the metro and in greater Minnesota. Latinos compose approximately 3% of Minnesota’s population. Each of the merged congregations of St. Philip & St. Thomas has a unique place in the Episcopal Diocese of Minnesota. St. Philip and St. Thomas have long histories (more than 100 years each) of serving the African American communities of Minneapolis and Saint Paul, Minnesota. They share many similarities in history and parallel development of their ministries. Each began as a subset of another Episcopal church to serve “colored” Anglicans. Saint Philip began as a part of Saint Mark’s, calling themselves Saint Mark’s Guild (1888) before officially separating and becoming Saint Philip Mission (1895). At about the same time (1899) Saint Thomas became a mission of Gethsemane Church. Both were able to secure meeting space, begin their ministries and expand their congregations. Both parishes secured long serving priests about the same time. These priests brought needed stability. The Reverend Louis Johnson served St. Thomas from1947 to 1975 and The Reverend Denzil Carty served Saint Philip from 1950 to 1975. Both were devoted to their parishes and under their leadership membership grew. During their tenure each parish left mission status, each parish built a new church and both parishes were active in the local civil rights movements to secure rights and improve job opportunities for African Americans in the Twin Cities. In recent years each parish has continued under the leadership of a succession of parish priests, interims, supply priests and dedicated lay leaders and members. Due to membership decline and in order to respond to the rapidly changing demography and missional changes and challenges of the modern world, in 2006, the parishes began new shared ministry initiatives. On January 27, 2008, a merger decision was reached, church buildings subsequently sold, Articles of Incorporation filed, and now is one church called the St. Philip & St. Thomas Episcopal Church. Currently, we are worshiping at the Epiphany Episcopal Church in St. Paul. Throughout their many years of existence, Saint Philip’s and Saint Thomas have had shared family ties, members, and activities. Although both parishes were started to serve the needs of African Americans in the twin cities, their missional focus re-shifted over the years and both are now multicultural congregations serving the entire metropolitan and welcoming to all. Though we are further ahead than most denominations, The Episcopal Church is still wrestling with the full inclusion of gay and lesbian people and their equal access to the sacraments. Many dioceses and congregations across the country are actively supportive, a few are openly hostile, and most are somewhere in between. As a Diocese with a significant number of gay and lesbian clergy, and a large number of ordained women clergy, Minnesota endeavors to be a place where people are boldly living into a vision of tolerance and acceptance. Though far from perfect, the Diocese of Minnesota makes every effort to be a very good place for gay and lesbian clergy to do ministry. Following are excerpts from conversations with clergy about the climate of acceptance in the Diocese. The Diocese of Minnesota addressed the issue of inclusiveness 10 years ago with A Resolution on the Baptismal Covenant. Read the Diocesan Convention Resolution of 1999 below. It highlights and confirms where we stand today. Whereas, in our Baptismal Covenant we ask ourselves “Will you seek and serve Christ in all persons … and will you respect the dignity of every human being?” And, our response is: “We will with God’s help,” and Whereas, baptism initiates everyone into the sacramental life of the Church, and Whereas, throughout the twentieth century, in response to an awareness of the implications of the Baptismal Covenant, the Spirit has moved us increasingly to take those steps necessary to declare that people of color, American Indians, women, children and people with disabilities are all entitled to the Sacraments and Blessing of our Church; NOW, THEREFORE BE IT RESOLVED, that the Diocese of Minnesota meeting in its Convention at Duluth, Minnesota, deems this a particularly appropriate time to include, welcome and embrace its Gay, Lesbian, Bisexual and Transgender members and explicitly to declare that in our Diocese we continue to make available to them all of the Sacraments and Blessing of Christ’s beloved Church, and BE IT FURTHER RESOLVED, that our Deputation to the General Convention meeting in Denver in 2000 shall convey this action by our Diocese to the General Convention. Anglimergent Minnesota is a generative network of Episcopalians who understand that God is doing something new among us. We are a fellowship of those who are tired of wasting diocesan capital patching up old wineskins only to have them burst open again in a new spot. We are a fellowship that deplores the ways in which the church is squandering its inheritance in its attempts to buy and fix new patches for old wineskins no longer capable of holding wine. We recognize that The Spirit is alive and we yearn to join the Spirit in bringing new life and hope to our communities. As the Jews say...we are called to participate in the mending of the world. As such we yearn to be a part of the new life that is emerging in the church; to nurture the soil and the roots of the Tree of Life rather than spend time pulling off dead leaves, or attempting to prevent dying leaves from dropping to the ground. We are energized and encouraged by traveling in uncharted waters together. We share meals, laughter, tears and prayers. We know that the silos of denominationalism are coming down and we believe this is the work of the Spirit. We see it happening all around the world. And so we ask: "How can we join God in giving birth to the new? In 2004 we started a new conversation and community that explored possibilities for a church plant and, after more than a year of meeting, we discerned that the diocese at that time could not support such a ministry. In 2008, we hosted the first national Anglimergent meeting in conjunction with Emergent Village. In 2008, we published the Episcopal Manifesto of Hope for Minnesotans. In 2009, we are hosting a conversation with Phyllis Tickle based on her landmark book, The Great Emergence. We maintain a web presence and a social network www.anglimergent.ning.com and wiki www.mnanglimergent.wikispaces.com. Additionally, we continue to participate nationally in events and forums, including providing support and leadership for Anglimergent, which will have a significant presence at General Convention 2009. Episcopal Community Services (ECS) was founded in 1963 by the Episcopal Diocese of Minnesota to address the health and welfare needs of communities within the Diocese and state. University Episcopal Community is a ministry of the people who study, work, and live at the University of Minnesota. Episcopal Homes of Minnesota enhances the quality of life for senior adults by providing homes and services that support each individual's physical, social and spiritual needs. House of Prayer is a place for the integration of silence, reflection, worship and work. Breck School is an Episcopal, coeducational, college-preparatory day school enrolling students of diverse backgrounds and abilities in grades preschool through twelve. Shattuck – St. Mary’s School guides young people to be strong in character, mind, body and spirit for a life of learning and service. Students from 39 states and 17 countries attend for an outstanding academic experience in a cooperative campus community. Sheltering Arms Foundation enhances the lives of children and help them reach their full potential, especially those experiencing barriers to success. The Foundation supports programs benefiting children and their families in Minnesota who are most vulnerable, have least access to resources, and are least likely to have a wide array of choices about their future. The Cathedral of Our Merciful Saviour in Faribault is the oldest cathedral in Minnesota. Built 1862 - 1869, it was the first church in the Episcopal Church in the United States of America designed as a cathedral. On August 10, 1979, the cathedral and its guild house were added to the National Register of Historic Places. Our Merciful Saviour was founded by Bishop Henry Benjamin Whipple, who is buried beneath the altar. In 1941, St. Mark's Episcopal Cathedral in Minneapolis was dedicated as the seat of the bishop for the Episcopal Diocese of Minnesota, but the Cathedral of Our Merciful Saviour retains its status as a full cathedral as well. Affectionately known as the “Land of 10,000 Lakes”, Minnesota has just over five million residents and claims some of the most majestic land in the United States. Founded in 1858, Minnesota is covered with dense forests, rolling prairies, fertile farmland, state parks, and home to wilderness areas on the banks of the mighty Mississippi River and on the shores of “Gitchigumi” (Lake Superior). Minnesota is the birthplace of SPAM, Scotch tape, Prince, the Coen Brothers, Bob Dylan, Garrison Keillor and many other illustrious and legendary food products, inventions, personalities and artists. Just to set the record straight, though we may speak like the movie characters, Fargo is not in Minnesota. And yes, we have our share of Grumpy Old Men. Nearly sixty percent of Minnesotans live in the Minneapolis-Saint Paul metro area, otherwise known as the Twin Cities. It is the center of the state’s transportation, industry, and business activities. Nineteen Fortune 500 companies call Minnesota home as well as an internationally celebrated arts community, winning professional sports teams, numerous universities and colleges, and world-renowned medical institutions including the Mayo Clinic in Rochester, MN. The state’s image as a bastion of Nordic and German descendants has a basis in truth, but diversity is increasing with substantial influxes of African, Asian (Hmong), and Latin American immigrants joining our large American Indian population. Minnesota is known for its moderate to liberal politics and social policies, its civic involvement, and high voter turnout. Our state ranks among the healthiest and has one of the most highly educated and literate populations in the United States. Click on the links below to learn more about our great state and its museums, landmarks, and cultural attractions. To learn more about the history of the Episcopal Church in Minnesota catch Ben Scott’s video. To learn more about the Bishop’s Commission on Mission Strategy (BCMS) click here. 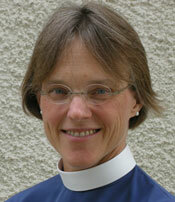 To read about where we are now as a diocese, click here. To learn more about Minnesota’s first bishop, Henry Benjamin Whipple, and the foundation of love and acceptance he created, check out Anne Beiser Allen’s book: And the Wilderness Shall Blossom – Henry Benjamin Whipple: Churchman, Educator, Advocate for the Indians. Click here for a gallery of photos of previous Bishops. As a champion of the rights of American Indians, he was a major voice in bringing the plight of Minnesota’s Ojibwa and Dakota to national and international attention. His tireless advocacy of their treaty rights earned him respect on the reservations, in the pulpit, and at the nation’s capital. He was, said one colleague, “90 percent St. John and 10 percent New York politician”—a charming blend of evangelist and businessman whose friends ran the gamut from presidents to backwoodsmen. His strong faith, simple sincerity, and powerful voice made him a popular speaker as well as a persuasive negotiator and fund-raiser. The only way to participate in this process is for each interested person to turn in an application. Nominations from others will not be accepted. Question #1 Explain why you feel called to be a bishop; including your discernment process and what have you learned from it. What special gifts underscore your call to the Diocese of Minnesota specifically? Question #2 The diaconate is a major pillar of the Diocese of Minnesota. What has been your experience in supporting, encouraging and making use of the diaconate? Question #3 Presently 38 congregations have embraced total ministry. What experience have you had with total ministry parishes? What would your ideas be to support and strengthen that movement in Minnesota? It is a good idea to make sure your CDO (Church Deployment Office) profile is current. These will be accepted March 2-25. Letters to you concerning next steps will be put in the mail April 6th (please note the date change). Question #1 Our diocese has varied ethnic and cultural components: American Indian, African American, Hmong American, Spanish Speaking Americans and GLBT. What has been your experience in working with these groups? What is your vision to strengthen and support these ministries? Question #2 Describe a previous conflict between several parties that you personally have been involved in and how you went about resolving it? What was the ultimate outcome? Question #3 How would you define the realities facing the Episcopal Church today, and how would you lead the diocese in responding to them? Submit a sermon (audio or video, about 10 minutes) This can be from any season, or from any set of readings, or from any occasion. Forms for the Oxford Document background checkes will be sent to you. Be available for a phone conversation with members of our search committee. This will occur sometime between April 14 and April 28. You will hear next steps from us by May 3. Fill out this survey tool used to assess mental and emotional readiness for executive leadership. This will occur by May 16. Members of our search committee will visit you at your current ministry location. These visits will occur sometime between May 2 and June 15. References will be contacted during the same time frame. You will hear about next steps from us by June 21. You will meet with our search committee in Minnesota. This interview occurs sometime between June 27 and July 25. You will hear about next steps by July 26. This announcement will happen by August 1. Other dates to know: Open nominations accepted by the Standing Committee August 1-14. Click here for information on that process. Walk-abouts will happen sometime between October 9-24. The Electing Convention is October 31.